Making eye contact with the other person via web camera has always been a problem. 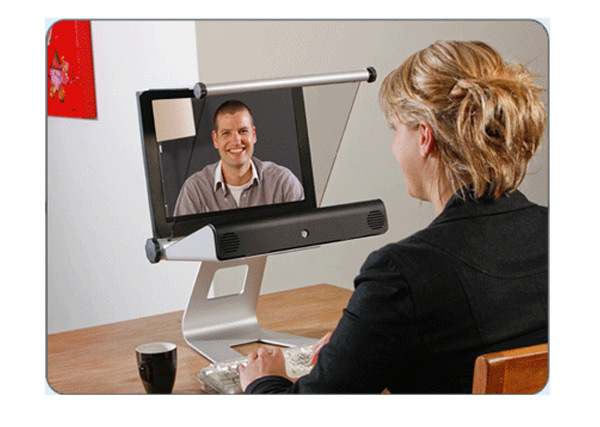 Iris allow you to look straight into the eyes of your contact person with the help of a monitor with uses a camera-reflection system. Scientific analysis indicates that communication between people in a personal conversation comprises of small verbal actions and larger non-verbal actions and that the non-verbal part of the communication is much larger than the verbal part.